ARE YOU READY FOR ANTHOCON NEXT WEEKEND? It’s here already! I’ll be at the New England Horror Writers’ table at AnthoCon: The Anthology 2011 Conference Friday, November 11 – Sunday, November 13 in Portsmouth, New Hampshire at the Best Western Wynwood Hotel & Suites. 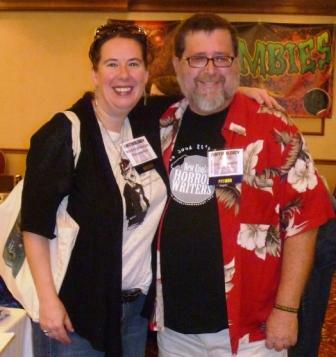 Joining me at AnthoCon at the NEHW and/or Epitaphs tables will be writers Stacy Longo (Dark Things IV, Hell Hath No Fury), L.L. Soares (Cinema Knife Fight), Scott Goudsward (Shadows Over New England), Tracy Carbone (The Man of Mystery Hill), Danny Evarts (Shroud Magazine)—and many, many more. This is one of those occasions where it looks like a lot of the gang is going to be there, so don’t miss us—come pick up your bleak winter reading fare.